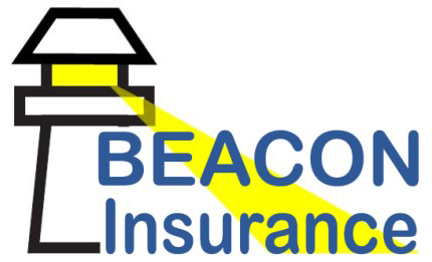 Insurance Coverage | Beacon Insurance Agency Inc.
We believe that businesses ought to be able to focus on what they do best. We believe trusted relationships build success. As a business owner, you work hard to create profitable companies for yourself and your employees. Commercial insurance, often known as business insurance, can offer a range of vital protection for what you have built. From vehicles to property and the employees within the business, owners can safeguard their investment and lessen the risk of a scenario affecting its growth and presence. The following areas represent some of the primary commercial insurance needs that any business may require. All businesses, including home-based, benefit by having general liability insurance. This is a convenient catchall type of policy, many businesses can use it as a starting point for their risk mitigation needs. Bodily injury, property damage, personal injury and advertising injury can all be covered. General liability insurance provides defense and damages if you, your employee or your product/service cause bodily injury or property damage to a third party. A commercial property insurance policy could be thought of as a commercial version of a homeowner's policy. You will find similar covered items, such as fire and theft that pertain to a business property. If your business has some type of physical location, it would require a property insurance policy to protect the building and business personal property from fire, vandalism, theft and smoke damage. At times, the greatest loss is business interruption/loss of earnings, so you may wish to consider this coverage, as well. Small business owners can take care of many needs in a BOP policy, which is a bundle that often includes business interruption, property, vehicle, liability and crime insurance. This is a cost-effective approach to your business' risk mitigation plan. A personal car insurance policy is not enough, as it will not cover items that relate to your business. A vehicle that is used within the context of business must have its own policy. A commercial auto insurance policy protects company vehicles from damage and collisions. If your business uses vehicles to perform routine or even occasional operations, a commercial auto policy is a must. Add non-owned auto liability coverage to protect your company from an employee that is uninsured. Data breach insurance is increasingly relevant. It protects against loss for all sensitive or non-public information about employees or clients on computers, servers or in paper files. Workers that are hurt on the job can rely on worker's compensation for lost income and medical expenses. This coverage is commonly required by employers for all W2 employees and removes an employee's right to sue. Worker's compensation coverage often extends to temporary employees as well. In recent times Inland Marine basically covers property in transit. It originated as covering the loss or damage of ships, cargo, terminals, and any transport or cargo by which property is transferred, acquired, or held between the points of origin and final destination. Extra liability insurance is designed to help protect you from major claims and lawsuits by providing additional liability coverage above the limits of your other commercial insurance policies. This insurance protects company directors and officers against their actions affecting profitability or company operations and covers costs or damages as result of lawsuit. For contractors, a surety bond is not insurance for your business, but is protection for your customers. When your projects require bonds, the cost is passed through to your customer in most cases. The professionals at Beacon Insurance can work with you to create a right-sized risk mitigation program giving you greater peace of mind.